Flavor notes include a sweet/tart start with a mild tart finish. Perfect for eating out of hand, fresh cut with your favorite dip. The Pink Lady was discovered in Australia in 1973. It is a cross between Lady Williams and Golden Delicious. Did you know? 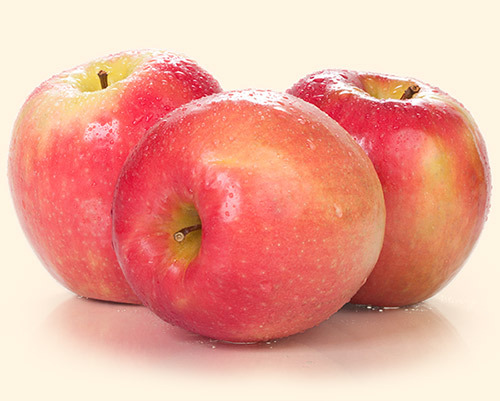 Pink Lady was bred by John Cripps because of the long storing property of Lady Williams and the sweetness/lack of storage scald of Golden Delicious.